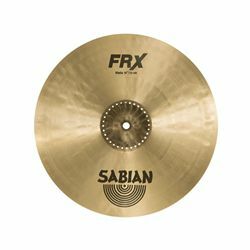 Sabian FRX cymbals are designed for playing environments where traditional cymbals are just too much. They are NOT low volume cymbals. Rather, FRX work by cutting specific frequencies, resulting in the perception of lower volume. Remove those frequencies, and suddenly your cymbals sit perfectly in the mix, no matter how hard you play. The result? No need to hold back.